Marilyn Monroe signed photo measuring 11'' x 14'', unusual not only for its size, scarcity and near fine condition, but also for its association to Marilyn's most famous movie scene. 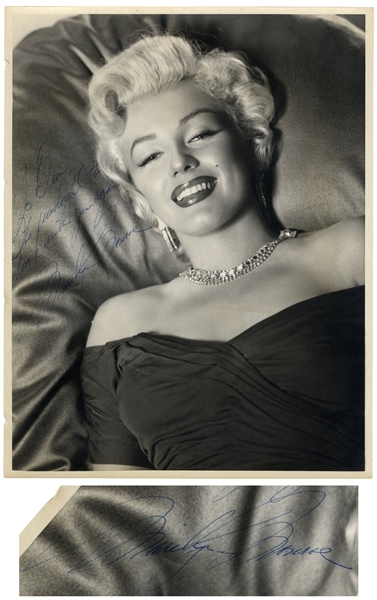 Marilyn inscribes the photo in large blue ink, ''To Dru, It's wonderful to work with you again / Marilyn Monroe''. 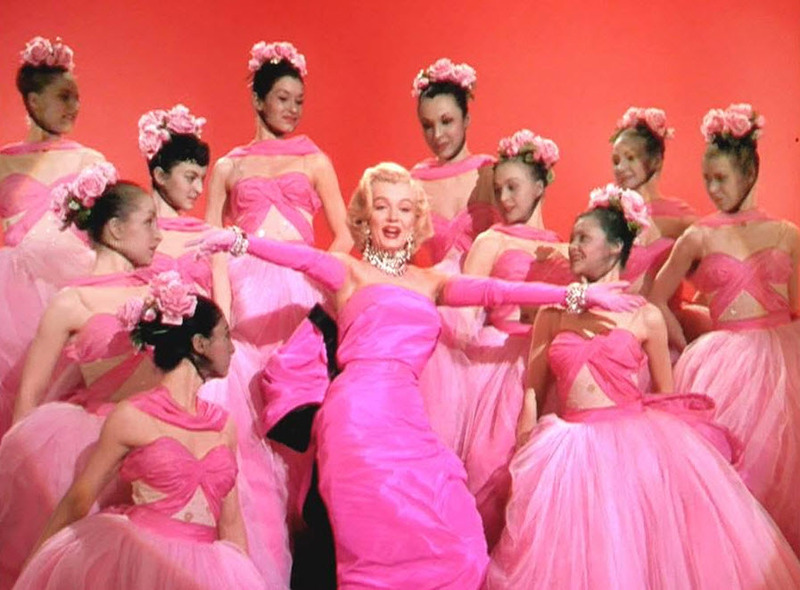 Dru is the nickname for Drusilla Davis, who dances alongside Marilyn in ''Gentlemen Prefer Blondes'' during the song ''Diamonds Are a Girl's Best Friend'', where Marilyn is outfitted in her pink satin dress, adorned with diamonds. Matte photo is near fine, with a bit of edgewear along margins. 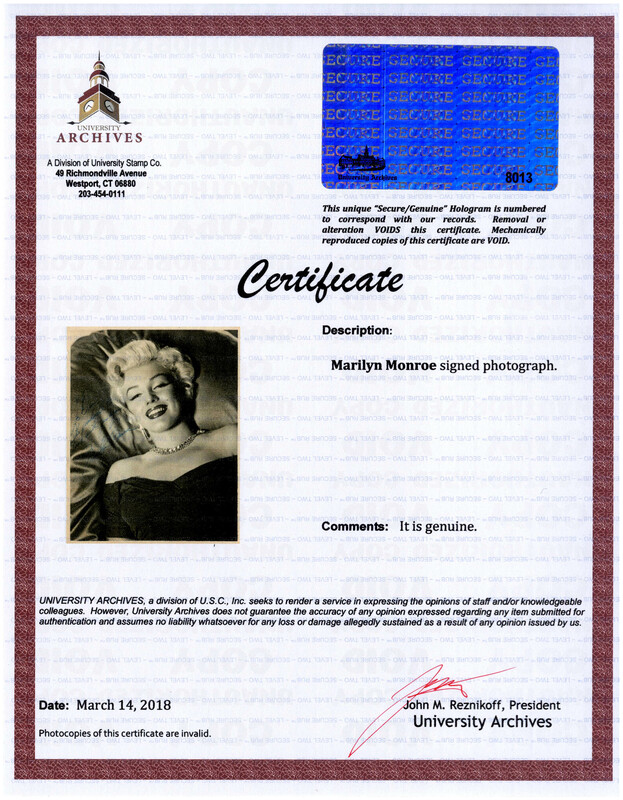 Contemporary note on verso reads, '''Gentlemen Prefer Blondes' / March 6, 1953 / last day''. 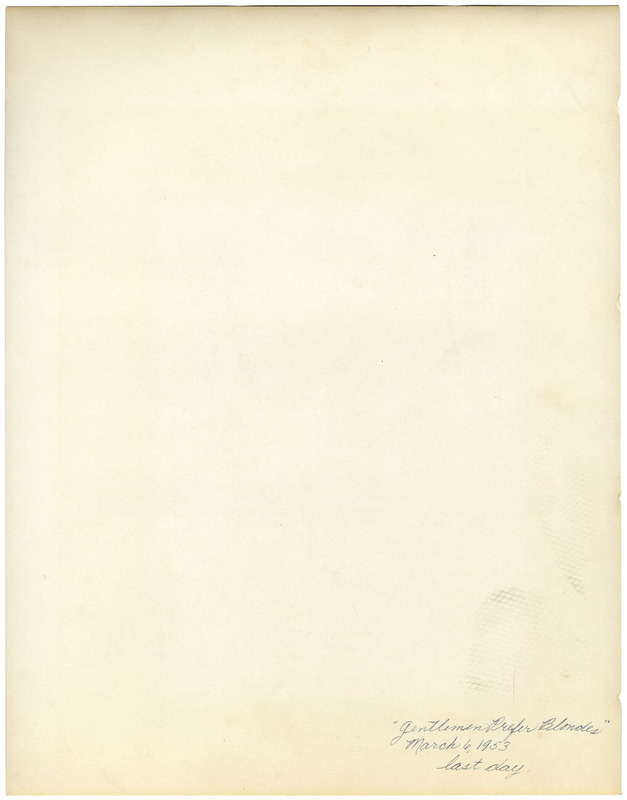 From the estate of Drusilla Davis and also with University Archives COA.